Aileen Pranillos, 19, has been a scholar of Bantay Bata 163’s Bantay Edukasyon for nine years now. She and her three other siblings live with their maternal grandmother as their mother works abroad in Riyadh, Saudi Arabia as a domestic helper. 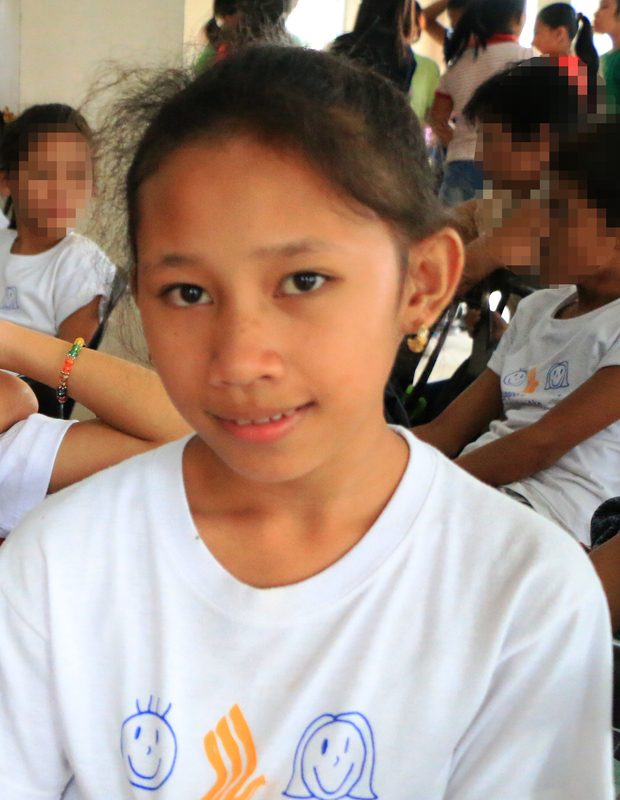 On the other hand, her older brother, Reymond Pranillos, 20, stopped schooling because of financial reasons. He is supposed to be an incoming first year college student and would like to enroll in Hotel and Restaurant Management or an Information Technology program. But when Bantay Bata 163 inked an agreement with Overseas Workers Welfare Administration, the child-care program endorsed Aileen’s brother for OWWA’s OFW Dependent Scholarship Program (OFWDSP). OFWDSP grants financial assistance worth PHP20,000.00. Cacdac also shared that OWWA likewise offers a scholarship grant to qualified beneficiaries or dependents of active OWWA members who intend to enroll a 4 to 5-year baccalaureate course in any preferred colleges or universities. This is the Education for Development Scholarship Program (EDSP) where a form of financial assistance amounting to a maximum of PHP60,000.00 will be given per school year. Another scholarship grant which both OFWs and their dependents can apply for is the Skills-for-Employment Scholarship Program (SPESP). According to OWWA’s website, “It is in the form of training assistance with OWWA assuming the training cost in vocational/technical courses accredited by TESDA and other government institutions as prescribed in the existing implementing guidelines.” A financial assistance of PHP14,500.00 will be given and applicants may choose their preferred training course from OWWA’s recognized Training Providers. Cacdac added that OWWA also provides livelihood assistance for its members. Aside from assisting OFWs, OWWA is also in partnership with ABS-CBN Lingkod Kapamilya Foundation’s Bantay Bata 163. The partnership provides better access to OFWs, their families, and the general public to report incidents of abuse through the Bantay Bata 1-6-3 Hotline, and institutionalize OWWA's programs for the protection of the families and children left behind. Call OWWA Hotline 1348 or visit their website at owwa.gov.ph, or through its Facebook page, www.facebook.com/OWWAofficial/. 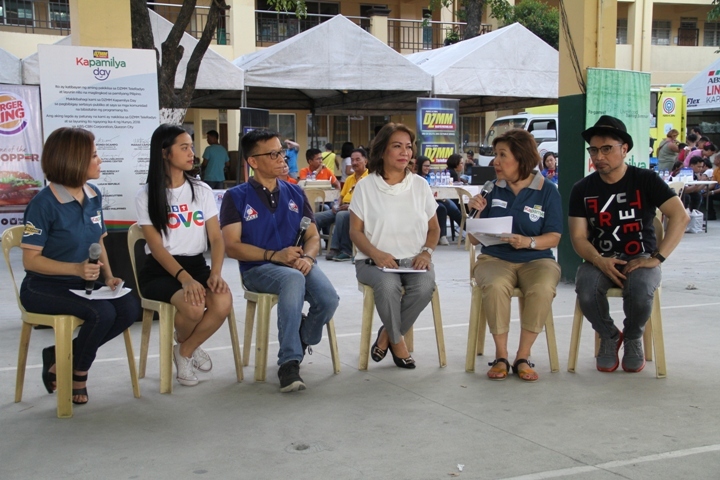 Kapamilya Konek, Konek ka D’yan is a radio show produced by ABS-CBN Lingkod Kapamilya Foundation, Inc. that airs on DZMM 630 and DZMM Teleradyo every Sunday at 5:00 P.M. Kapamilya Konek also joined the DZMM Kapamilya Day in Manuel Roxas High School where 500 families in Paco, Manila benefited from an outreach activity with DZMM’s Teaching, Learning and Caring’s (TLC) mobile library, mobile kitchen of ALKFI-Operation Sagip, and a seminar on children’s right and protection by Bantay Bata 163. DZMM’s partners also rendered services such as medical mission, free massage, free haircut, and food packs distribution.